Dreadnought developer Six Foot has laid off one-third of its staff following a lacklustre launch for the big ship battler. Game Informer first reported that Six Foot was attempting to balance the books by laying off a significant portion of its staff. A lower-than-expected performance after launching on Steam on the 14th suggests that success doesn’t appear to be coming for the free-to-play battleship brawler. Six Foot has promised to help support redundant staff as they look for new positions. Unlike a certain recent studio closure, however, it appears management kept staff in the loop surrounding a growing financial crisis. 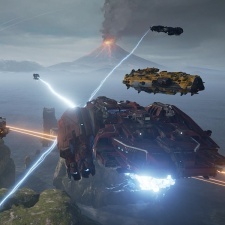 “In August, Six Foot informed its staff of the upcoming potential for major changes to our company structure, including continued development of Dreadnought as a live product," said Svensson.